Assistant to the Interim Dean for Institutional Planning and Mission Terry Sparkes. Assistant to the Interim Dean for Institutional Planning and Mission Terry Sparkes is set to retire in May 2018. Since her arrival to Luther 1990, Sparkes has been involved on campus in a variety of capacities, including Associate Professor of Religion and Associate Dean and Director of Curriculum Development and College Honors, and, most recently, Dean for Institutional Planning and Mission. For the past 28 years, Sparkes has continuously been invested in improving the quality of education for Luther students. 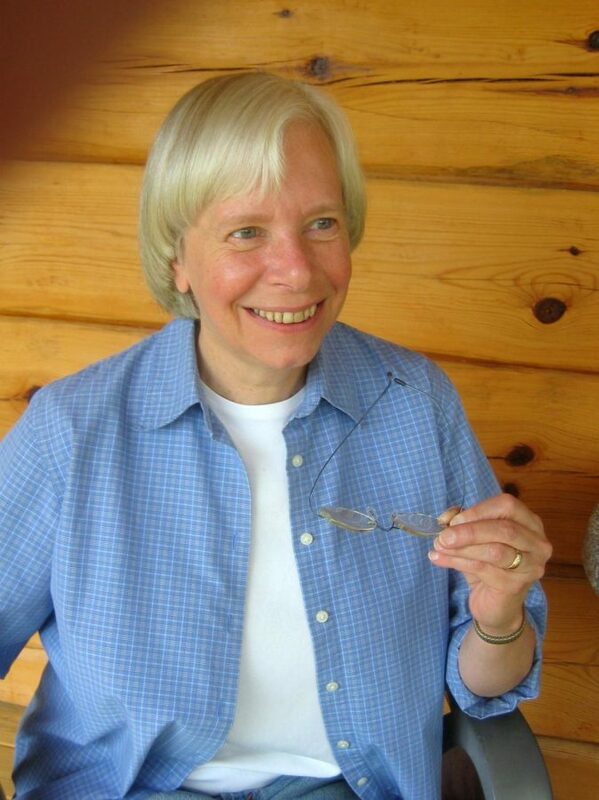 During her early years at Luther, Sparkes encountered several challenges such as heading the religion and philosophy department when it was facing substantial faculty turnover. Within this role, she helped cultivate a diverse and dynamic religion department. Besides her official positions on campus, Sparkes has served as a mentor to her colleagues. 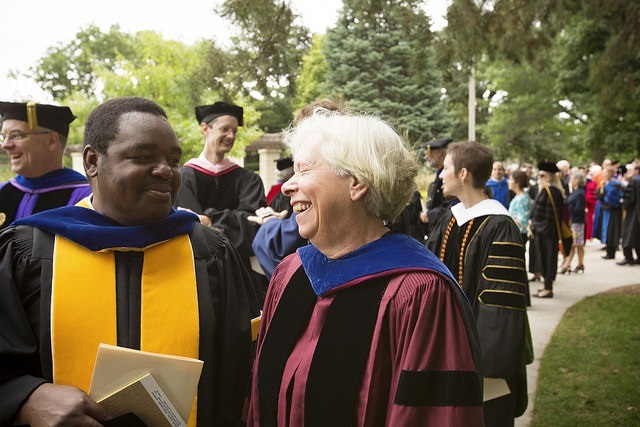 Associate Professor of Africana Studies and History Richard Mtisi and Assistant to the Interim Dean for Institutional Planning and Mission Terry Sparkes at the opening convocation. “She mentored me in my own role as department head and she was one of the first people I talked to about what I needed to know as head of the religion department,” Associate Professor of Religion Sean Burke said. Sparkes’ commitment to fostering strong learning environments for students was evident in her position as Associate Dean and Director of Curriculum Development and College Honors as well, where she helped students apply for prestigious fellowships and scholarships. This position also entailed expanding the student research symposium, which since 2010 has allowed students in every class across departments to present their research to faculty, staff, and fellow students. Sparkes mentioned that this was one of the most rewarding projects she contributed to as Associate Dean. Sparkes carried her enthusiasm for students, faculty, and staff on campus when she took on the inaugural Dean for Institutional Planning and Mission position, which was created by President Carlson in the summer of 2016. This position came to fruition because of two large projects that needed shepherding: reaccreditation and strategic planning. In addition, Sparkes’ role involved coordinating a variety of campus programming centers more intentionally. Nathan Campbell (‘18) worked closely with Sparkes on the Strategic Planning Committee. In December 2017, Brad Chamberlain took over as Interim Dean for Institutional Planning and Mission, but the future of the position is still undefined. Luther’s reaccreditation process will finalize in the spring of 2019, at which time the Dean for Institutional Planning and Mission position will be reevaluated. “Until then, Dr. Chamberlain will remain in the Interim position,” Carlson said. Whether she will be found canoeing, delving into a lengthy reading list, or fighting for social justice, Sparkes’ passion for learning and building community will remain a constant long after her retirement.